“My name is David Thomas and I am proud to be the regional representative for Southern Europe. 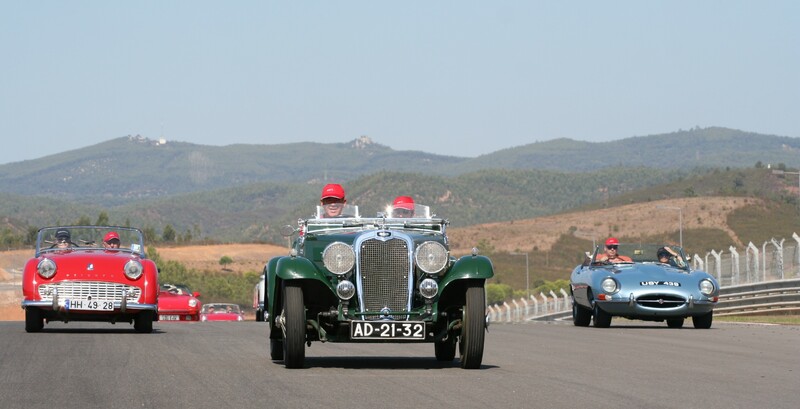 This comprises Spain, Portugal, Italy, France and Gibraltar, a combined population of 183 million, six of whom are Pre-1940 Triumph Motor Club members! I am also proud to be the owner of a 1935 Triumph Gloria Southern Cross – the only one in Portugal. I passed my driving test when I was 17 years old and my first cars were a pair of Renault Dauphines which cost £15. Things progressed quickly thereon and after a brief spell with a Triumph Spitfire, I purchased a 1963 Jaguar E Type fhc in BRG with light tan upholstery. I then married my wife Jane, the car had to go, and I acquired my father’s Austin A40. We spent 30 years in Hong Kong during which time I rebuilt a MG Midget, a Triumph TR3A, which I raced in Macau, and a 1954 Singer Roadster. 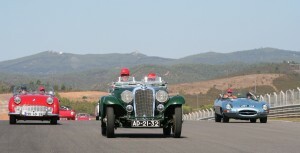 The latter won three national Concours d’Elegance awards over the years. When we moved to Portugal the Singer accompanied us, and then purchased the Triumph Gloria. This is very suited to the Portuguese weather and the car is used regularly and in rallies. We drove it to the UK in 2012 for the 50th Anniversary of the Club. I am honoured to be Press Officer of this very friendly Club. We always welcome Club members visiting the Algarve!